Start by cutting a section of wheat grass to fit inside a window box planter. (If needed, raise the grass by laying it on floral foam.) Wind floral wire up the stems of tulips and ranunculus. Place stems in floral water picks. If you like, attach leaves cut from scrapbooking paper. (Templates below.) Glue leaf fronts to backs, then crease lengthwise; hot-glue leaves to the wire on the stems. 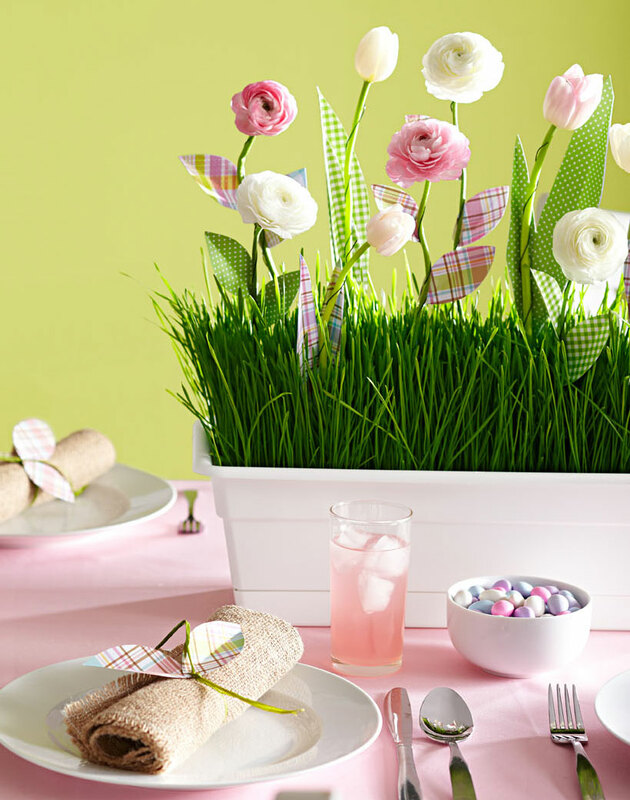 Insert flowers into wheat grass. Refill water picks daily; water grass every other day. Centerpiece should last about a week.